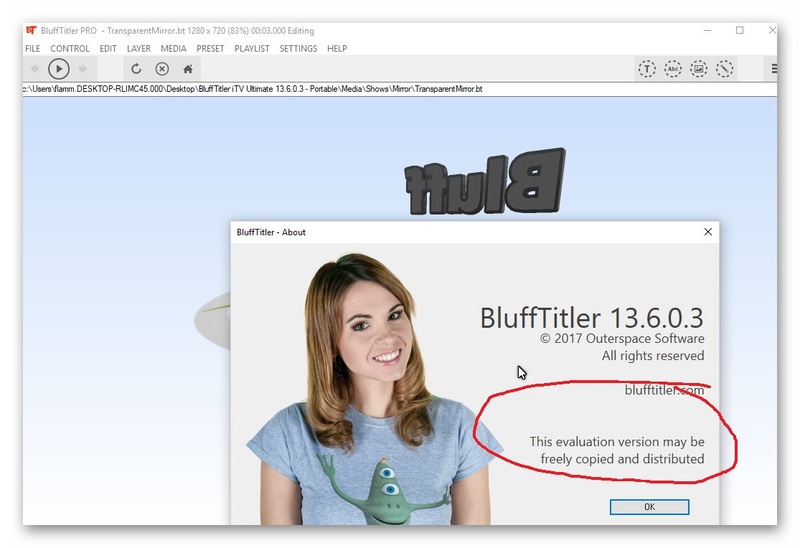 BluffTitler is a Windows desktop app for creating, rendering and playing 3D video effects. Want to impress your family, friends and clients with spectacular 3D titles and intro videos? 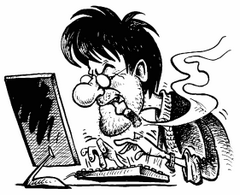 But do not want to use complex and expensive 3D animation software? 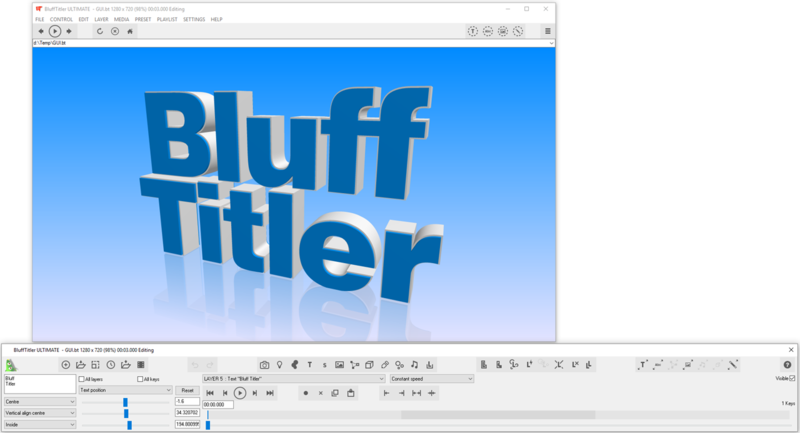 BluffTitler makes it easy and affordable to add 3D effects to your videos! The installer comes with hundreds of demo shows. Complex 3D rendering techniques are offered as easy to use effects. Size: 1,62 / 23,95 MB. Thanks for the message. I think You should not pay attention to this sign… You Have some limitations in the program? Work with her a couple of days and then email me if the program stops working. OK? Ok, but when I created a new «show» always to appear a watermark (DEMO). Does not it happen to you? And sorry for my english is not perfect. If you have a watermark, then it's bad… Tomorrow I'll see what you can do. I looked at the program today. I also have a watermark… It's very strange, always with crack from this author was all right. We are waiting for a new version or a fixed crack. Thanks you for your quickly answer. I hope your news. Thank you for notification. Please send me links to my private mail in the future. Thank you in advance. Merry Christmas! Ссылка на медицину снова не рабочая. Thanks for the comment. In a few minutes, you have reuploaded the medicine.